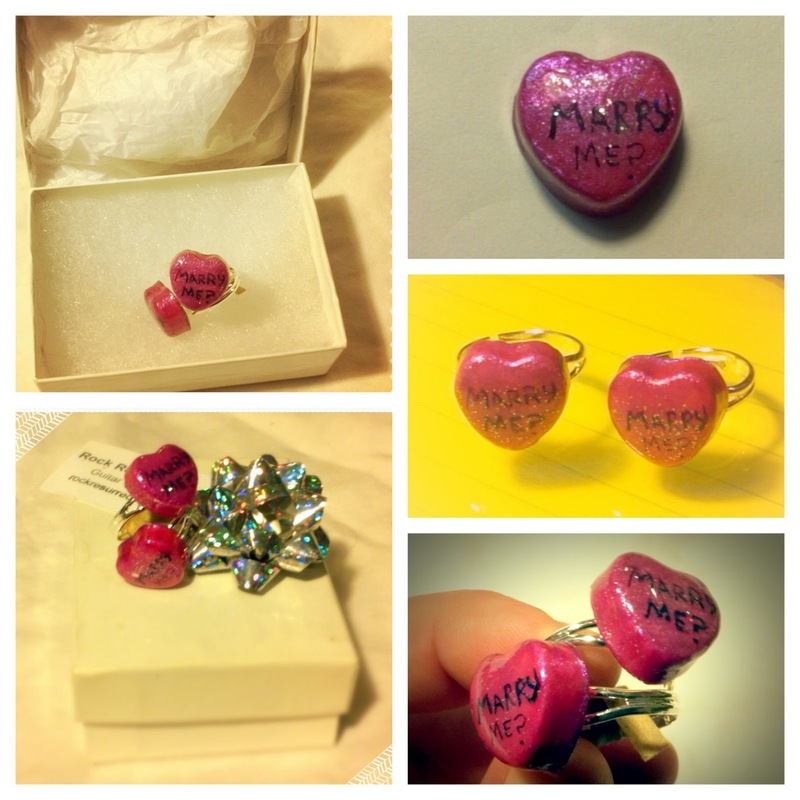 In late April I was contacted for a custom order to make some candy engagements rings. The groom to be explained that they had an inside joke with candy hearts. Although I keep boxes of candy hearts on hand, I can't always have a certain text in a certain color (not to mention in good condition). After calling around town to find candy hearts months after Valentine's Day, I realized it was time to paint them the color he wanted to start writing tiny. A lot of love and detail went into making these custom color and words candy heart rings. I took pictures of them but didn't want to potentially spoil the surprise by sharing them. So I waited a few months and can now share the pictures of my work. I was stoked to do an engagement ring and hope I will have the honor of doing more in the future! If you or someone you know might be interested, send me an email or fill out the custom order form.